Sleep is one of the most underrated aspects of your parent’s well-being, especially during his or her senior years. Having a restless night every once and a while is completely normal for most people. However, a prolonged period without lack of a good night’s rest can have a major impact on your mother’s overall wellness, and it all has to do with her internal clock. While everyone’s sleep patterns are different, it’s important that your mother stays alert throughout the day and gradually grows sleepy toward nighttime. According to the National Sleep Foundation, food and sleepiness are interconnected more than you may think. Certain amino acids in in foods can cause sleepiness or alertness, so it is important that your mother eats balanced meals that won’t slow her down or cause her to become jittery during certain times of the day. These can include a wide variety of fruits and veggies, including celery, cucumbers, watermelon and radishes. Although these foods are very healthy, their high concentrations of water can cause your mother to wake up in the middle of the night with a full bladder, according to AARP. This can cause her to want to use the restroom and, in the process, disrupt her sleep schedule. 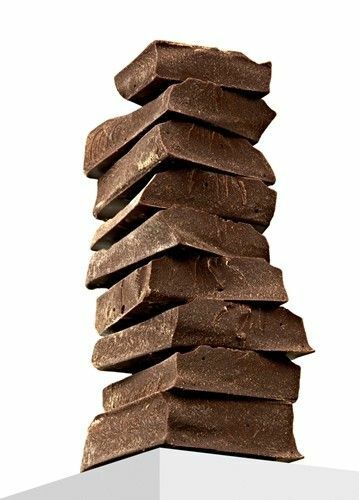 While coffee and tea may be obvious drink choices that aren’t a wise idea before bed, there are several foods that contain caffeine, including chocolate. Alcohol can make us feel a bit sleepy at first, but according to Harvard Health Publications, alcohol is actually a stimulant and can create issues with a good night’s rest. Your mother should limit fatty foods in her diet so that she can maintain a healthy weight, but the time of day she chooses to indulge in these meals is important, too. Foods that are very high in saturated fat, such as fried foods and pizza, put a lot of strain on the body and take longer to digest. This means that they can cause discomfort to the digestive system as she tries to drift off, thus disturbing her sleep patterns. Avoiding spicy foods may help to prevent heartburn, but your mother may not know that these dishes can also affect her ability to enjoy sleep. Meals that pack a lot of heat can raise your core body temperature, which can have an adverse effect on your sleep patterns. If you and your mom want to enjoy a spicy meal together, make sure that you do so for lunch. As delicious and healthy as these fruits are, they are loaded with tyramine, according to AARP. This is an amino acid that sends triggers to the brain and releases noradrenaline, which is known to bolster brain activity. While this isn’t exactly a bad thing, it’s probably not the best idea to have your mother’s mind racing right before bed. If she loves tomatoes, make sure that she enjoys them during breakfast and lunch. Sleep is very important for your mother’s overall health – after all, we spend roughly one-third of our lives enjoying slumber. Be sure that she is eating the right foods so that she is able to drift off to sleep without any problems. If your older parent is living in a senior living community speak with their health director to discuss meal options that will help improve sleep.